Even though I have only been raising goats for 8 years, I do think I have tried just about every goat hay feeder on the market. I have my favorites and my not so favorites. And just like every other goat farmer, what works for me might not be the best option for you. To help you decide on the best option for your goat herd, I have done my first ever review on goat hay feeders. 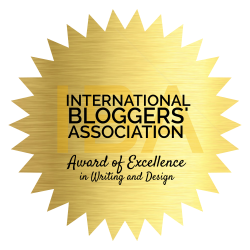 I do hope this will make it easier for you so you do not have to do the legwork. 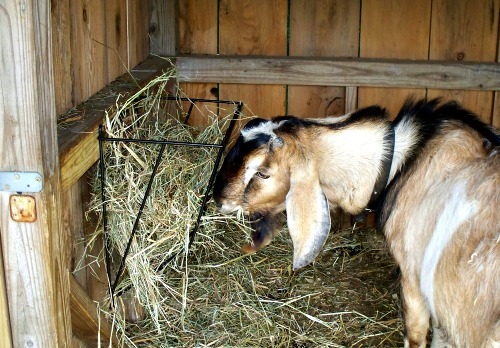 Goat hay feeders are an important part of raising goats. Not all goat owners feed their animals grain, it all depends on the situation and nutritional needs of the individual animal. All goats do, however, need to have access to good quality hay. They love hay and will consume quite a bit every single day. Goats, contrary to what people believe, are pretty picky eaters and will chew up the hay they like while letting the hay they don’t like fall from their mouths in a practiced dance. Because of this, you may just find piles of wasted hay scattered throughout your barn. Since hay is not cheap, it is important to find a hay feeder that will cut down on waste. Wasted hay is wasted money on the farm and our goal is to waste as little as possible. 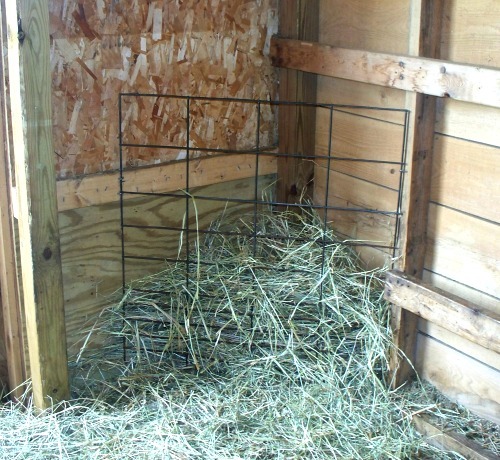 There are many options for hay feeders from DIY you can make yourself to many expensive contraptions available to purchase in a store or online. I have tried a handful of feeders and I have had my flops and my favorites. Even though there are many more options out there, this is my own list of feeders that I have used and tried over the last 8 years of goat raising. I purchased this metal hay feeder for our buck’s outside summer pens. This is by far the best option I have found for my rowdy group of bucks. It is sturdy enough to stand up to their strength and will stay put even with their roughhousing. This feeder will also work with more than one animal in a pen but 2 goats per feeder I think would be the limit. I purchased these feeders almost three years ago and they look just as nice as they did on day one. They do allow some waste but surprisingly not too much. I bought mine at our local feed store and found most of the locals do carry them. Unfortunately, I have not found one of similar quality to the ones I own online as of yet. 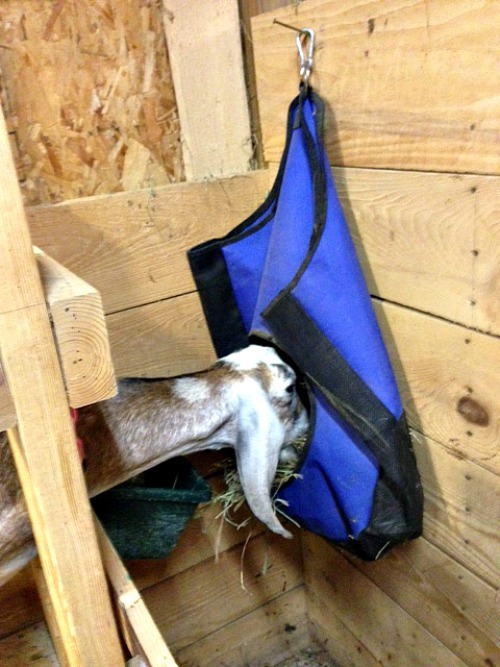 If your goats have horns, this hay feeder is a great option. 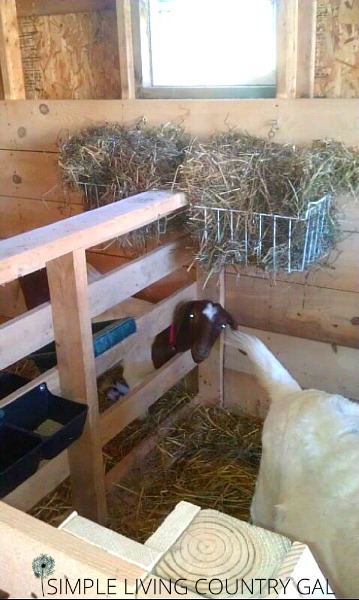 The narrow slats allow for easy access to the hay without goats feeling the need to put their entire head inside. Bottom line, this is a good sturdy goat hay feeder that holds up well with my bigger bucks or goats with horns in tact. It also does very well in the weather. I just love this bag! It is very sturdy and durable and perfect for the milking stall and in our sick pen. It doesn’t take up a lot of room and holds a good amount of hay as well. 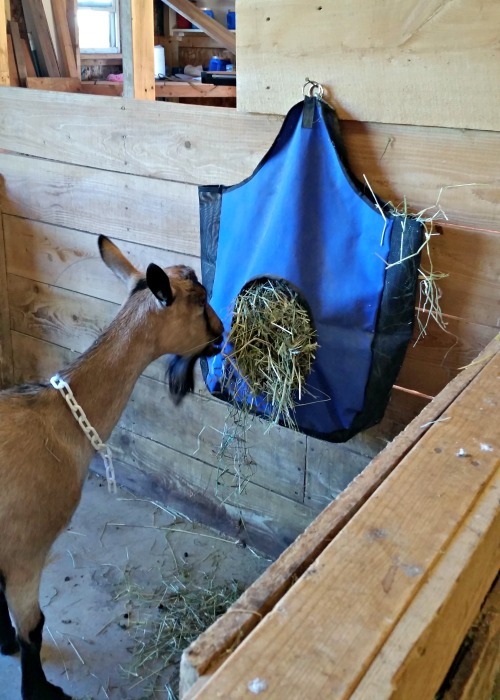 This goat hay feeder bag is made of heavy-duty canvas so the durability is superb. This particular goat hay feeder is meant for one animal and will not work with multiples. There is some waste, but not much if your animal is a calm eater. I do have a doe that pulls out large amounts of hay and drops half of it when she is eating. The rest of my does eat with their heads completely inside the bag thus eliminating most waste. I purchased mine on Hoeggerfarmyard.com , but their shipping has not been good as of late. I did find this one on Amazon and it looks very close to the one I purchased on Hoegger. Bottom line: If you have a small area this is the perfect goat hay feeder for you. Very durable and takes up little space. Please note: If your goats HAVE horns do NOT use this method. Goats with horns can easily get caught in the fencing causing possible injury. I will have options coming soon for goats with horns. This is a do it yourself option that is quick to make, easy to install and move. I use this in the corners of my main junior pen to offer multiple hay feed areas. This is good for medium sized groups and deters bullying. Simply cut a piece of hog panel and attach with fencing nails. I put the panels up with the small openings at the bottom and the larger openings at the top. Since most of the waste falls to the bottom of the feeder, the goats will eat from the top down, therefore you want the larger opening at the top. Ninja tip: use the waste at the bottom of these feeders for bedding in your goat stalls or chicken nesting boxes. This is a really good and sturdy option and is my go-to for most of my multiple pens. I will use this if necessary in my small pens as well, but they do take up some room so be aware of that. Hog panel feeder can be cut to specific sizes depending on the amount of room you have to work with. Bottom line: A great and inexpensive way to feed multiple goats at once. Easy to install and move with fencing nails and a hammer. Nails can be used over and over as well so cost is minimal. I LOVE this feeder! Handy Man Hubby came up with this option and it is by far the best way to feed a large amount of goats with little waste. It is easy to make and simple to move. What hay gets wasted stays in the feeder and falls to the bottom. When I notice a build up of discarded hay, I will then take the clean hay out and use it in my nesting boxes in the chicken coop or in my garden. No more wasted hay! I have 6 goats in my large pen and they are all able to eat comfortably and without incident. To make take a hog panel and lay it flat on the ground. Stand on the panel and lift up the end creating the bend in the fencing. You need to be careful doing this so has not to have the panel spring back, two people are best when bending the panel. Keep working along the panel until you have made a rectangle the size you need to accommodate your herd. Attach the end with several zip ties to secure. Place in your pen with the small openings at the bottom. Fill with hay and you’re done! Ninja tip: If you have a particularly rowdy bunch you may want to secure your goat hay feeder with a few garden stakes. Bottom line: This is a great goat hay feeder for a large herd of animals and can be used inside or out. Cost is the price of a panel and a few zip ties. Very durable and sturdy. Works best in larger areas since it does take up some room. This was one of my first attempts at a hanging feeder. I used a wire basket from a chest freezer I found for $2.00 at a garage sale. It was very low cost and did work for a bit. Unfortunately, the material was not durable and it didn’t last nearly as long as I would have liked. I do think it would be more successful with smaller goats, but my big girls are a bit rough and this feeder was just no match for them. There is some waste with this feeder as well. Use fencing nails to hang this feeder. 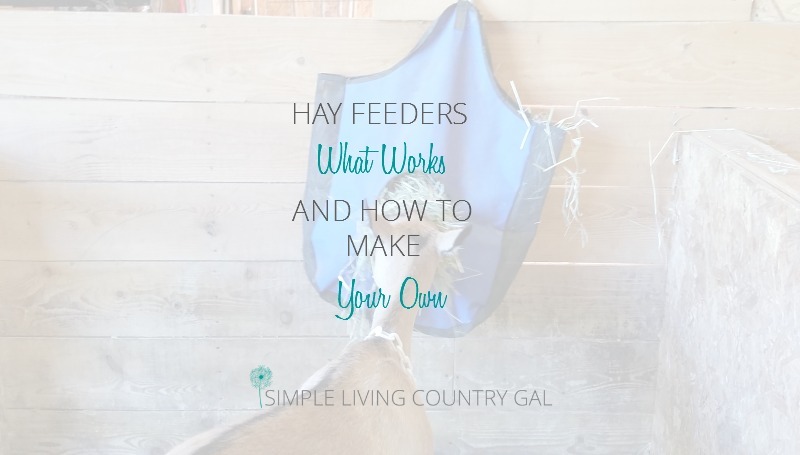 If you have tried a few hay feeders or made your own, please share below. I would love to see what you have tried and hear about what worked and what didn’t. If you want more great posts on Dairy Goats then check out my Goat Raising 101 page! Don’t you worry about a goat getting its head stuck in a hog panel? It happens, I believe. Thanks for your thoughts on this. 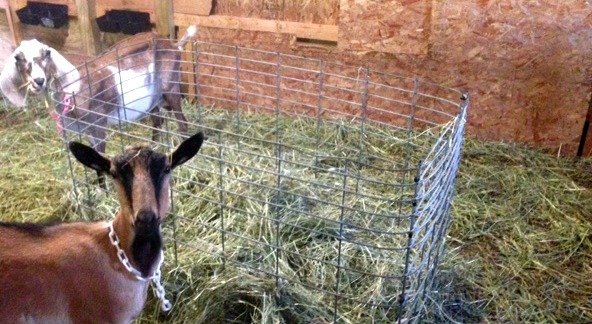 For my bigger goats I do not use the panels I instead use the hanging metal feeder. I have only ever had one goat get their head stuck. It was my big buck and he simply outgrew the panel feeder. I found the metal hanging feeder and since then he has been on that one. The girls (even my big Nubian gals) have never gotten stuck. You can also switch to cattle panels which have bigger openings. Thank you for your informative post. I am about to get 2 pygmy goats and was wondering which type of hay feeder to get. Oh, how fun! I hope this article helped you out, enjoy your new additions! I’ve zip stripped or bungeed the bottom of rack from an oven to the outside of the fence (we have a section made of dog kennel panels. I secure the top with a bungee and put a flake of hay bnb in each. The top bungee keeps the hay tight against the fence and the dog panel openings work perfectly to restrict how much hay they take. They still can waste a lot by just dropping big mouthful, but works great and easy to fill. I love that idea, Beverly! Using what you have before you buy, is always a great option.